These Healthy Oatmeal Raisin Muffins are just the sweet to add to your next brunch menu – delicious AND good for you! If you’re a regular around these parts, you know that we are not the “healthy food” blog. But that doesn’t mean we don’t appreciate delicious food, good-for-you or not. This Healthy Oatmeal Raisin Muffins recipe is an example of that. They just so happen to be irresistible AND pretty darn wholesome. Nothing like having your cake – err, muffin – and eating it, too! 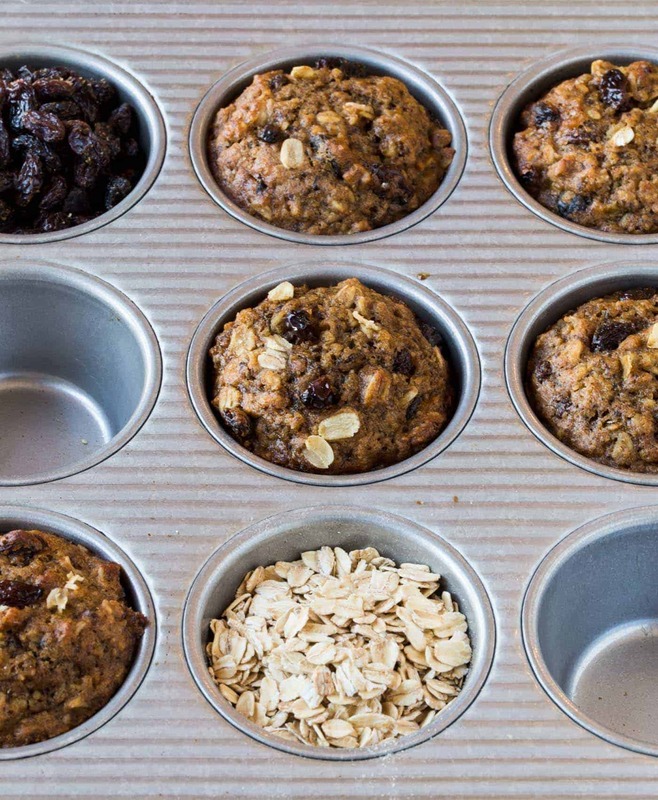 Do these “healthy” muffins actually taste good? Many times healthy baking can be associated with tough, flavorless results. Not these muffins! In fact, these Healthy Oatmeal Raisin Muffins are not dense and heavy at all, despite the “tough” looking ingredients. They are remarkably light and tender with just the right amount of sweetness from the dried fruits. Store your ingredients in the freezer for longer shelf life. Concerned about buying a whole package of flaxseed for just one recipe? Don’t be! I don’t use whole wheat flour, wheat germ and flaxseed on a weekly basis, but I find they keep really well when tightly wrapped in the freezer. P.S. Flaxseed and wheat germ are both great additions to smoothies in case you’re looking for another quick and easy way to use them. I don’t love raisins. Can I substitute something else in this muffin recipe? Not a raisin fan? Pick any combination of fruits you like. I’ve done various combos of raisins, craisins, chopped dates and figs, depending on what I have in my pantry. And they all work great. 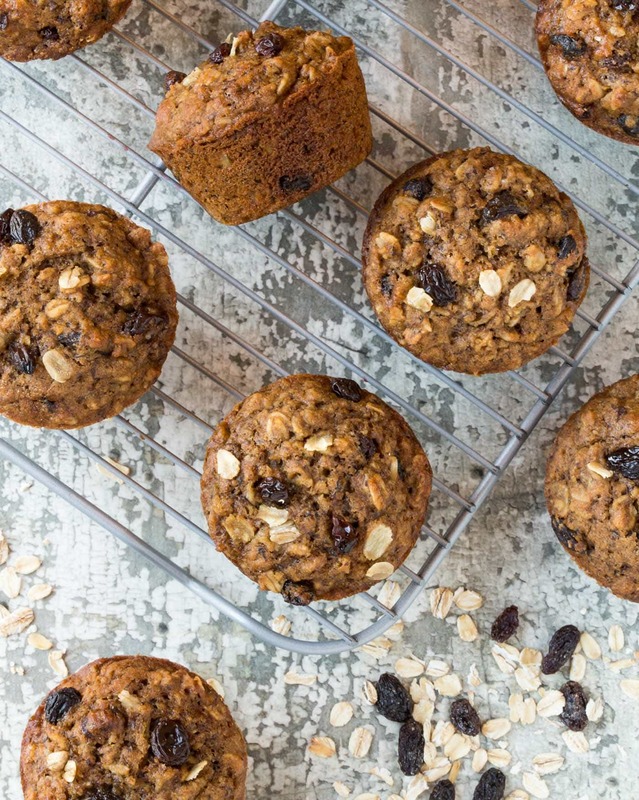 Can you make these Healthy Oatmeal Raisin Muffins ahead of time? Prepping ahead for your upcoming brunch? These muffins freeze beautifully, which makes thema great option for weekend guests or even for a healthier afternoon carb fix. 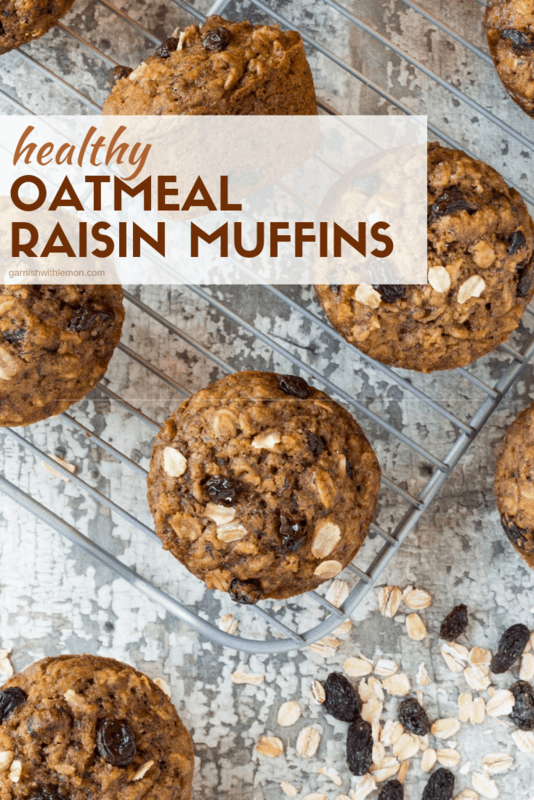 These Healthy Oatmeal Raisin Muffins are the best of both worlds - delicious AND good for you. Perfect for your next weekend brunch menu or as a tasty start to any day. Add first 8 ingredients in a large bowl and whisk together. Add oats and dried fruit. Stir to combine. Set aside. In a small bowl, stir together buttermilk, oil, vanilla and egg. Add buttermilk mixture to dry ingredients. Stir until just moist. Gently pour in boiling water and stir until incorporated. Let stand for 15 minutes. Preheat oven to 375 degrees. 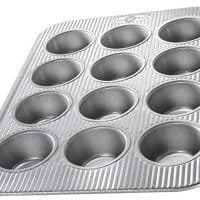 Grease a twelve-cup muffin pan. Evenly divide batter among muffin cups using a batter scoop and bake for 20 minutes. Muffins will spring back lightly when touched. Remove from pan immediately and cool on a wire rack. I have been trying to eat healthier, but I just can’t resist the baked goods. Muffins are one of my weaknesses too! Love that these are a healthy one that I can totally get on board with eating! They sound amazing! Thanks, Jocelyn! They make awesome snacks, too. Hope you try them! I just made these for breakfast and subbed crasins for the raisins. They turned out great and were a good way to use up left over buttermilk from holiday baking. Thanks :). Hooray! So glad you enjoyed them, Beth! Starting off the new year right! Thanks for the G+ love, Erin. 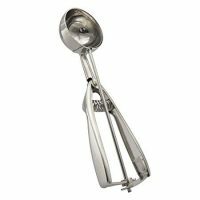 Question:can regular reduced milk be substituted in place of the buttermilk? Hi Terrance, I wouldn’t suggest subbing straight milk for the buttermilk. Two alternatives that come to mind are 3/4 plain yogurt and 1/4 milk mixed together or 1 tablespoon lemon juice mixed with 1 cup milk (allow to sit for 10 minutes to “curdle”). Hope that helps!